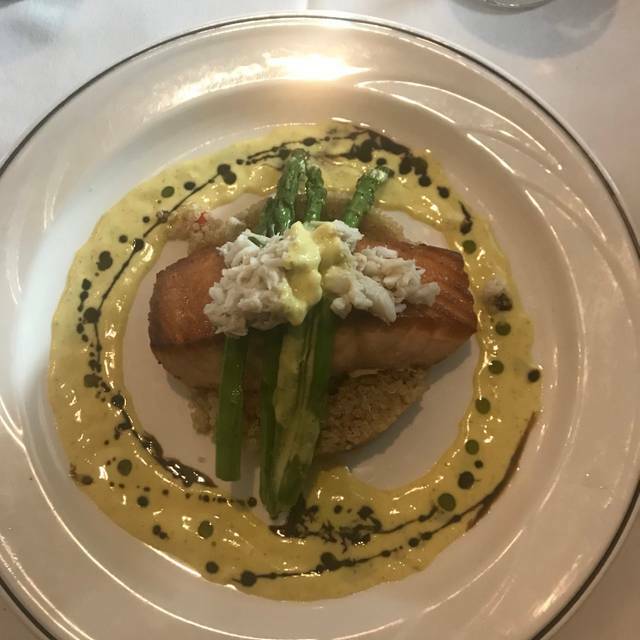 Award winning, Chef/Owner Eric Masson and his team welcome you to enjoy his unique low country French cuisine restaurant. Located in a 1910 historic Victorian house, The Brentwood features five elegant private dining rooms with two full bars, five fireplaces, an outdoor covered Pavilion, and an impressive wine collection. Patio open Tues-Friday. 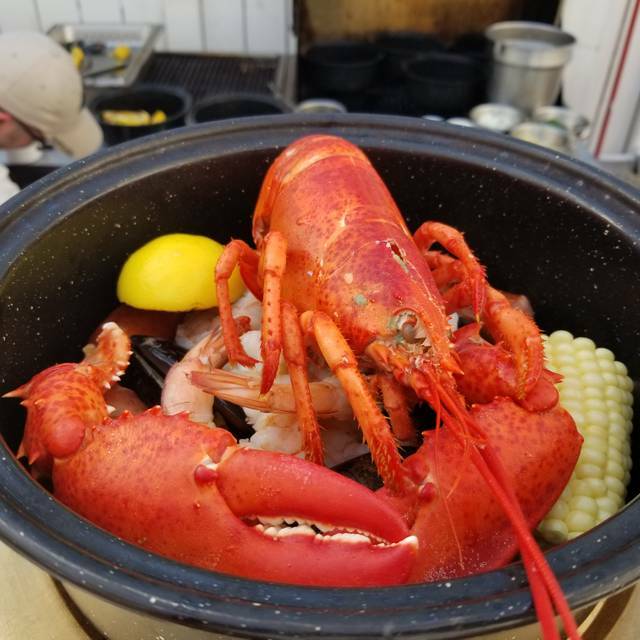 Live Music & Patio Specials: 50% Off Wine list Tuesday, Marlisa singing, Randy Knight singing Jimmy Buffett & all you can eat mussels every Wednesday & Lobster & Jazz Thursday. St. Jacques or Oysters "Rockefeller"
Well done! My wife and I each had the prix fixe dinner. She chose corn chowder, salmon and the profiterole. I had the pear salad, short ribs and sorbet, with the wine pairings. Every item was masterfully prepared and artfully presented. The wait staff was nicely attentive. All at a reasonable price point. Very pleased all the way around! We went for the Thursday night Lobster Bake. So much food! Excellent lobster, shrimp and more. We will be coming back for this again! Fantastic restaurant. Romantic atmosphere in a lovely 1910 house. Delicious appetizers and entrees. We will definitely return next time we are in town. 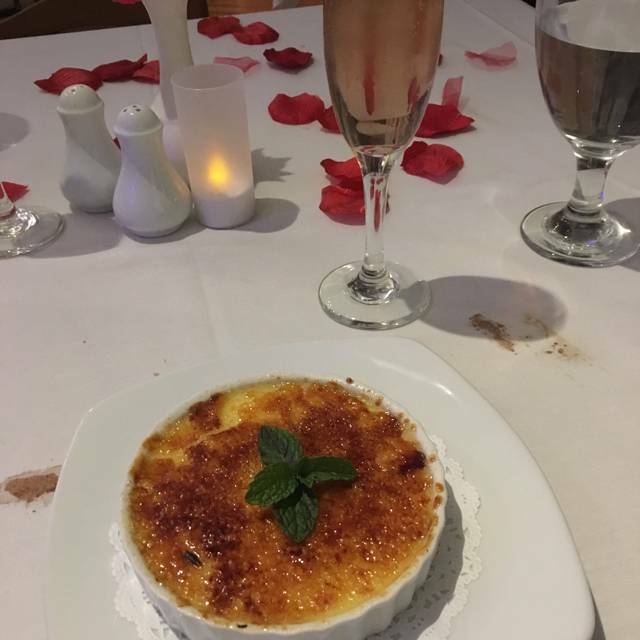 My husband and I enjoyed a fine, relaxing meal for our 39th Anniversary. The food was delicious and the staff were friendly and welcoming and gave superb service. This has become one of our favorite restaurants at the beach. The Chefs carefully prepare delicious authentic french food. The wait staff thoughtfully suggest wines that pair perfectly. A great selection for everyone to enjoy. Always entertaining things planned throughout the year. We sat upstairs and the ambiance was wonderful. Food and service were great and the prices were fair. We were in a small dining room. The acoustics are terrible. There was a table of 8 very loud people, a table of 4 sort of loud people, and our table of 3. We could hardly hear each other ! And there wasn't even loud music ! The food was OK, but not outstanding. Not worth the price. Great food and great service. Would definitely recommend it. The Brentwood does not fail to please. We had an amazing meal there. The salmon was a hearty portion and cooked to perfection. Our server, Taylor, was on the ball. He made sure we had what we needed and anticipated our needs. The wine bistro upstairs is always a good choice for the happy hour drinks and menu also. Beautiful historic setting and delicious food. Enjoyed every minute of our Anniversary dinner. They decorated our table beautifully and made it special for us. The Beef Wellington and the pork chop were expertly prepared. 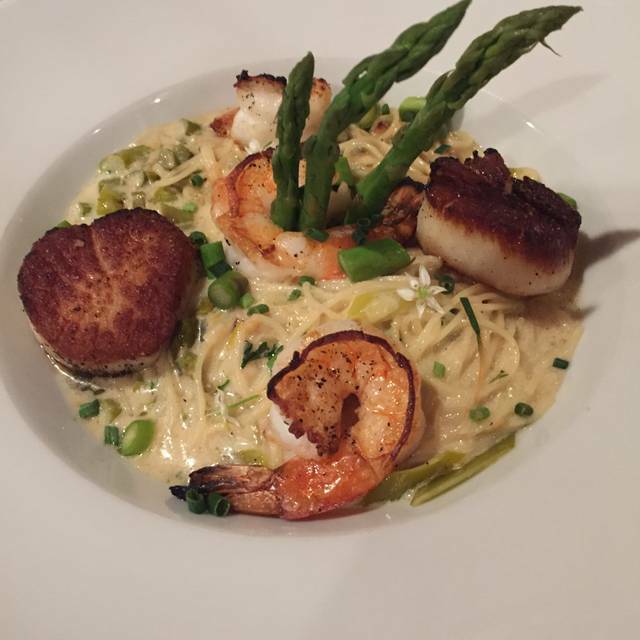 Put this restaurant on your list. You won’t be disappointed. Wonderful experience! Worth the drive. Great food! 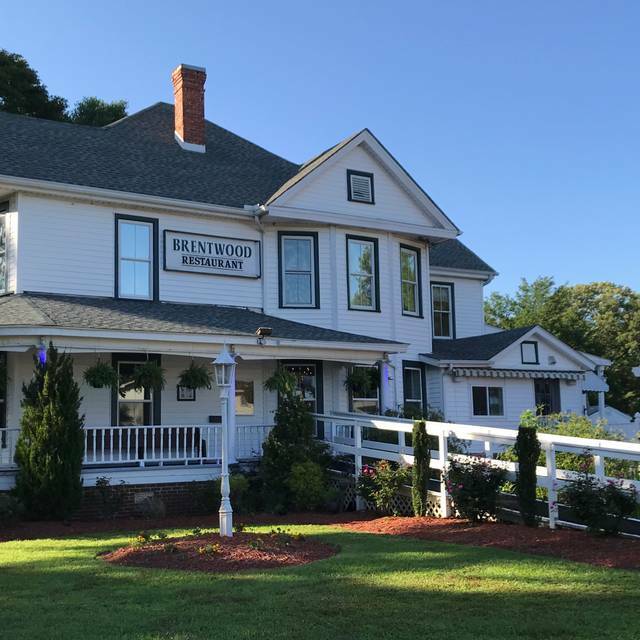 If you are in Myrtle Beach definitely venture out to Little River to dine at Brentwood House. Quaint, little place with a French inspired menu. Choices are wonderful really and the food will not disappoint. Place has a haunted story behind it which makes it interesting. But nothing bad to say about the food for sure. have never had a meal I did not like. So worth leaving Myrtle beach for and it's restaurants which are all alike. 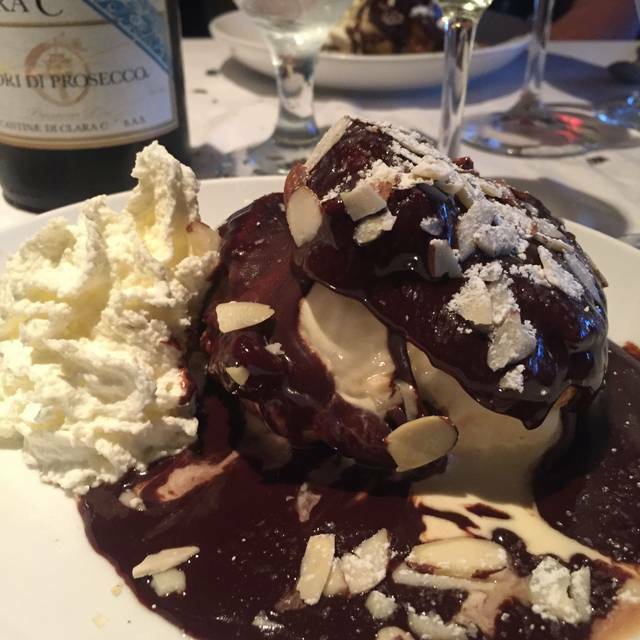 So many wonderful dishes from appetizers through deserts. We particularly enjoyed the she-crab soup for a starter and the lamb chops and filet were tender and cooked to perfection. Excellent wine menu provided choices to pair with any part of your dining experience. Service was friendly, informative and attentive. Being divided into smaller rooms and quiet background music allowed for easy conversation. We are looking forward to returning to enjoy other menu items! The Brentwood is a great experience of fine dining. Enjoyed the Prix Fixed Menu. A Great value for three courses. Just a great little restaurant that we seem to forget about! We had a great Birthday Dinner. We will go back soon. Great food + great service. The bed dining experience around here. As a starter the mahi-mahi risotto was sublime! Very accommodating with substitutions. This was “Fish Friday” and the flounder francaise was selected by all three of us and we each gave it five stars. The Brentwood Chardonnay was refreshing and crisp, an excellent choice. Finally the Belgian chocolate mousse was the perfect ending. Our server, Mark, was attentive and pleasant without being overbearing. Great meal. We love the Brentwood. We were surprised by how long our meal took because there were not a lot of people. However, one of our party did have a special meal ordered because of his dietary requirements. This is the 4th birthday I’ve celebrated at The Brentwood, and it was wonderful as it’s always been. I highly recommend this restaurant. The food, staff, the chef—everything about it is top-knotch! Delicious food, beautifully presented. Great service. Always a great dining experience. Dave did an excellent job of serving us. Food was delicious. This was not our first visit, and we've had many exceptional experiences at Brentwood, but it seems even the best can have an off night. We will return again in hopes that they will bring everything back up to speed. This restaurant was amazing. The food was to die for! The chef came out and visited every table, very personable and it enhanced our experience. I have celiac and had no trouble eating here, staff is very knowledgeable and menu is clearly labeled. Celebrated our 50th anniversary at this great restaurant. Food and service was excellent. The food, service and atmosphere was perfect! Our waiter William was very attentive and treated us beautifully. The Chef came out to speak with us and made us feel so special! We will definitely be back soon! We went with a group and everyone loved everything they had. 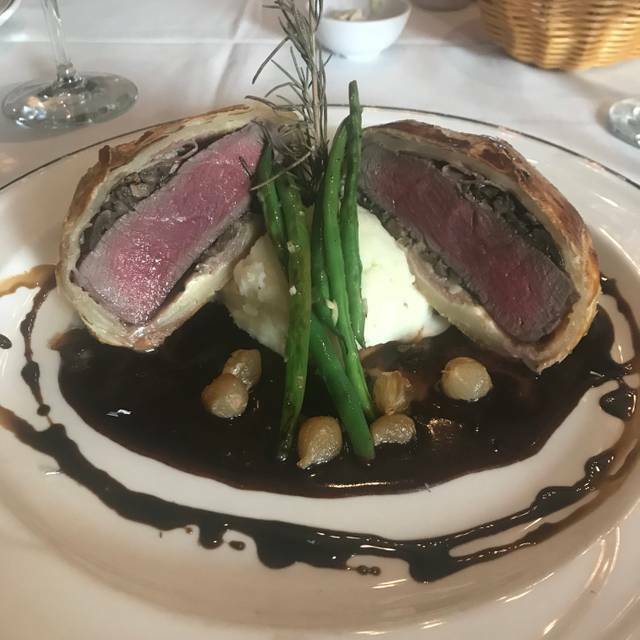 Filet Wellington, rack of lamb and shrimp and scallops Chardonnay were excellent. Extensive wine list. Service was great and the menu is an excellent value! Will definitely return! I love caviar, so we had the tasting menu that included a caviar course. This chef knows what he is doing. The caviar was fresh and served with the correct accompaniments, like buckwheat blinis. The rest of the dinner was spectacular. If you get the tasting menu, expect to be there for a while, it is not just a quick bite to eat. It is an enjoyable journey into the culinary creations that are being offered. Each course was perfectly prepared and just the right portion size. It was our 25th anniversary so we treated ourselves to a memorable evening, it was priceless. Thank you. We found the fixed price menu online and decided to try it. We were there in time to get the earlybird price which was $28! What a great deal. We both had the salad, one with ear and blue the other with goat and beets. That set the bar high, they were incredible salads. I had the mushroom risotto with was a great vegan dish. We also had the salmon Pamplemousse (had to google that spelling) It had grapefruit in the sauce, awesome. Desserts were raspberry sorbet and key lime. The key lime was not your typical pie, it was a mousse on top of a cake circle. Genius! The restaurant is an old Victorian house with a bunch of really cool dining rooms. We walked around after to check everything out, so many cool things on the wall. If you haven't been here yet, you are missing out on a wonderful dining experience. We highly recommend this place and will be back again to try more menu items! The Prix Fixe menu cant be best for the value. 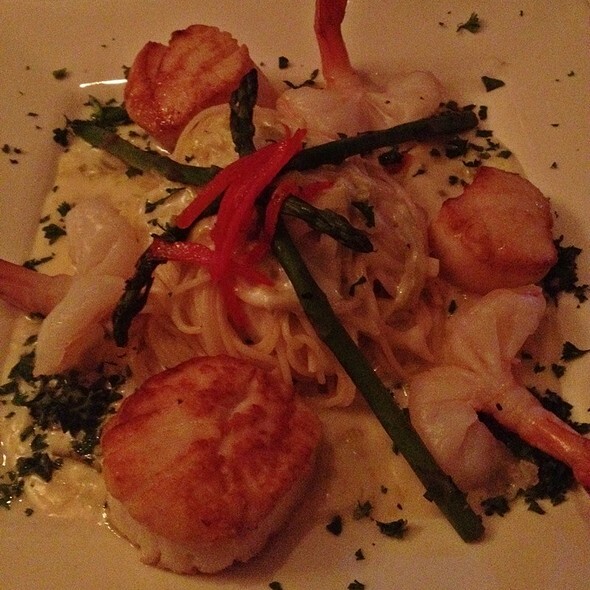 The food is always excellent and the service is terrific. The beautiful old home adds a fun and warm atmosphere. I brought my mom here for the fish Friday. Great deal for fresh fish. They had red snapper. Mine was a blackened fish with the spinach and Etouffee sauce, not too spicy at all. It was great. My mom got the other one, it was a Provencal style. That one was really good too. It had Calamata olives with vegetables and rice. She loved it. I actually liked mine better because it had the grit cake instead of rice. We ordered the chocolate souffle for dessert. That dessert is the best. It is light puffy and so chocolately. I have had it at other places and it doesn't compare to this one. They also give you a creme sauce and raspberry sauce. A must try when you are dining here. The service was very good tonight and they were busy! We sat upstairs, I love the vibe up there, it actually feels like a bistro. We tried the new fixed price menu and we love it!! A lot more variety than the previous one. We started off with the Escargot and French Onion soup. Awesome. The best escargot around. They are cooked with butter and garlic with a few bread crumbs and broiled so it's crispy on top. My dish is clean when I'm done because I take my bread and get every piece of butter and garlic let on the dish. The French onion soup is just like we have had in France, sauteed onions in a beef broth with bubbling Swiss cheese held up by French bread in the soup. We added a salad with the addons. My husband got the beet and goat cheese and I got the pear and blue. Once you have had this you can't go back to just a regular salad. For our entree I got the shrimp and grits, the grits are not soupy, they fry the grits and its delicious. It's in the shape of a triangle and crunchy on the outside and creamy on the inside and they taste delicious. I love the way they do it. My husband got the Osso Bucco, that dish is awesome too. The meat is so tender and delicious it's hard not to eat the whole thing. For dessert we got the Bourbon Bread pudding and coffee profiterole. If you like Bread pudding, you will not be disappointed, it's soooo good. I wasn't sure about the coffee ice cream with the profiterole, but it's not overwhelming and went perfectly with the cream puff and chocolate sauce. Highly recommend the fixed price menu. 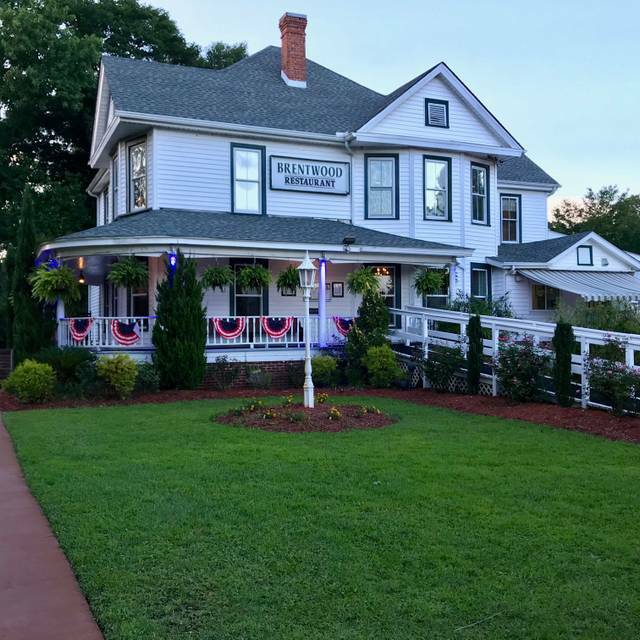 The restaurant is located in an historical landmark house. Full of character. Hostess was very friendly and gave us a tour. Our waiter was very attentive but the bus girl and bus boy were too anxious to take our plates when we were not close to being finished with our food. The Escargot was over cooked and a bit chewy but the flavors were great. The seared food gras was a good portion but it came out cold. The Scallops and Shrimp Chardonnay dish sounded great but the shrimp were way over cooked and rubbery. The angel hair pasta was mushy and over cooked as well. The flavors were okay. The chocolate soufflé for dessert was the worst attempt at a soufflé that I have ever seen. It should never have left the kitchen. The chocolate soufflé was hard and burnt on the top and it was obscenely sweet that it tasted like a spoon of sugar. The soufflé was basically a burnt over sweet chocolate brownie. Neither the Chef nor the Manager came to speak with us but our waiter was very considerate and took the chocolate soufflé off our bill. We would have happily paid any amount for a good meal. Removing an item from the bill because it was poorly prepared and not fit to be served ruined our dining experience and we regretted the drive to get to the restaurant. Stay away and go to other bistros in the area. Not worth your money or time.